A former Hastings police officer from Bexhill who was jailed for misconduct in a public office after contacting prostitutes and filming himself masturbating while on duty has been released from prison after his sentence was reduced on Tuesday (June 21). Luke Smith was imprisoned for 15 months in April after pleading guilty to two counts of misconduct in a public office and one of obtaining personal data from police systems two months earlier. But the 34-year-old of Buckhurst Road had his sentence reduced to four months at London’s Criminal Appeal Court, which he had already served so he was freed. Smith pleaded guilty to the three offences at a preliminary hearing in February. 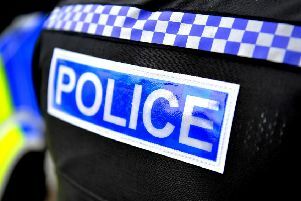 The officer was then suspended by Sussex Police and sacked during a disciplinary hearing on March 31, where he was found guilty of gross misconduct. Jailing him at Lewes Crown Court on April 15, judge Charles Kemp said Smith had engaged in a relationship with a prostitute for four years sending text messages and videos of him masturbating in uniform.